ESPANOLA, Ont. 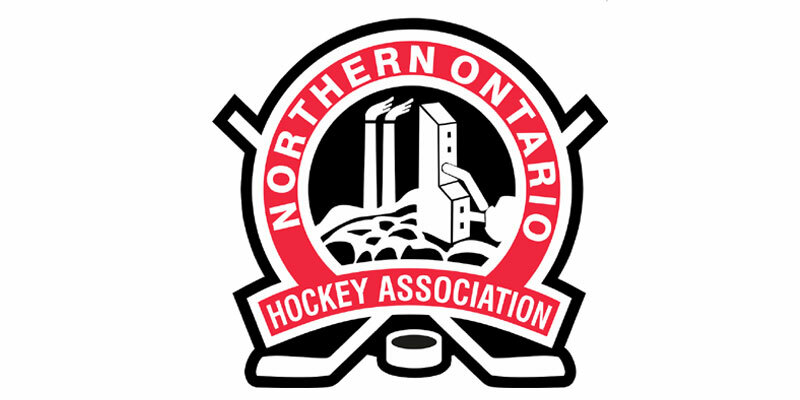 – A Kobe Keller goal nearly six minutes into the third period proved to be the difference make as the Soo Eagles went on to edge the Espanola Express 6-5 in a Northern Ontario Junior Hockey League encounter Friday at the Regional Recreation Complex. A free-wheeling first period saw the two teams combine for five goals, including three by Espanola. After Chase Lammi opened the scoring for the Express, Owen Shier answered for the Eagles a couple shifts later. The home side went back in front at 12:46 as Bret McInall connected on the power play as he notched his team-leading 23rd, which also matched the franchise-mark for most in a season, originally set by Aaron Roschinsky back in 2016-17. One again Sault Ste. Marie countered with the equalizer as Nathan Soilis supplied his sixth at 15:37. Yet again though Espanola regained the lead on a Matais Salem effort to give the hosts a 3-2 cushion heading to the intermission. Back and forth they went in the middle stanza as well with Hayden Clark tying it for the Soo once more as he picked up his sixth at 11:02 only to see the Express answer 31 seconds off the stick of Zachary Matyasik. A late man advantage helped the Eagles draw level when Riley Jensen’s 13th knotted the affair at 4-4. The Soo then took their first lead of the night at 18:48 of the second as Shier scored again for the visitors as they carried a one-goal cushion into the third. They then went up by two on Keller’s seventh goal of the season and eventual second game-winner of his NOJHL career. Lukas Lyszyk’s 14th of 2018-19 did get Espanola closer in the late going, but it turned out to be the night’s final marker before time expired. Brett Morich had a couple of assists for the Soo in the win as did Leonidas Mihalochristas for the Express. Playing the final two periods, the Eagles’ Shane Brancatto made 23 stops in relief to record the win while Joseph Bendetto allowed three against on 13 attempts in the first frame. Espanola goalkeeper Andrew Rocha saw 36 attempts fired his way in defeat. Game 6 Tonight!!! Join us at Pullar Stadium! Let’s pack the house and cheer our Boys to a Win! Game time 7pm. See you there! Join us tonight and tomorrow at Pullar Stadium for games 3&4 of playoff action against the Rayside Balfour Canadiens. Let’s rock the house and cheer the Eagles to some wins! Game time 7:00pm tonight and 7:30pm Friday.